If you’re working on an indie game, there will come a time when you need to start thinking about the music for it. If you want to explore commissioning a composer or collaborating with one on your project, then it’s useful to understand what your options are when it comes to paying them. I’m a game music composer and have worked on a variety of indie games (see my credits). I’ve enjoyed each and every project and love working with the indie developers and indie studios that I’ve connected up with. Whenever I speak to a new potential client– the same question arises around how much I charge and how to pay for the music. Some composers have a price per hour. In some ways this is fair in that they are effectively billing you for the time they spend working on your music, however, different composers work at different speeds – as well as offering music of varying quality. Therefore, if you decide to work with someone based on their ‘per hour’ fee, make sure that you have some kind of understanding of how long they tend to spend on a piece of music – otherwise you could be receiving a much larger bill than you expect. Composing music has various complexities to it and different composers will use different methods / processes / tools and techniques. You could be getting a bargain if their price per hour is low and they’re quick, but you’ll have to make a call on that. This is very common as an option and is often what tends to work well for game projects. This is usually because most music tracks in a game will be a minute, a minute and a half or two/three minutes long – on average. Some are longer – for example title tracks, or music in story-based games where the player might be stuck in an area or on a particular level for quite a long length of time and so a 4-5 minute track, could be an option but generally from my experience, most tracks have been between 1-3 minutes long, and by working based on this per minute rate, it seems quite fair for everyone. The composer can judge or estimate roughly how long they would need to spend to create a minute worth of music – and they will base their price per minute on that, and you can decide how long you want your tracks to be based on your budget as well as what fits the game. Feel free to browse through some of my game music tracks to see what they sound like, what their average length is and just to get some ideas! This is best to do when you need quite long tracks otherwise working with a per minute rate could get quite costly for you. Having said that longer tracks do take more time and so when offering you a price, the composer is likely to take this into account. If your game soundtrack requires many different tracks, then the composer is more likely to be happy to work with a per track rate. They will know that the project as a whole has multiple tracks that they can get their teeth into and you may find it easier to manage your budget and payments if you’re paying the same amount for each piece of work. If you have a large project and a large budget then this is a great method to use. You can agree upfront how much you want to spend on the music elements for your game (or project) and you can hire your composer there and then, to do all of it. That way everything is agreed and you’re sorted. You can have the peace of mind that you’ve hired a professional to deliver the game music and that you’ve agreed the pricing – so the budget for that is all sorted. Many indie game developers decide to build their teams and to work on this basis. If I’m honest, I’ve been invited on several occasions to work with this type of deal, but I have mostly turned them down. Although some of these projects look really interesting, unfortunately – the reality of it is that working based on a payment model, which has no guarantees is just not appealing, especially when I have other paid projects to get on with. Also, I have a greater belief in the success and potential of a game or project when the person I’m working with (i.e. the indie developer / indie games studio or filmmaker), is willing to invest in it. To me that shows that they really believe in what they are developing and that they’re willing and keen to do what it takes to make it the best that it can be. So there you have it! There are lots of options and opportunities for you to explore in terms of how you can work with a composer. It’s definitely worth asking them how they usually work, what they prefer and telling them what your own preferences are. By having that conversation you will also probably get a sense of what they’re like to work with and that should help you to decide if they’re someone you actually want to work with at all – or not! If you want to explore working with me on your game or any other project, please contact me now and we can get talking! 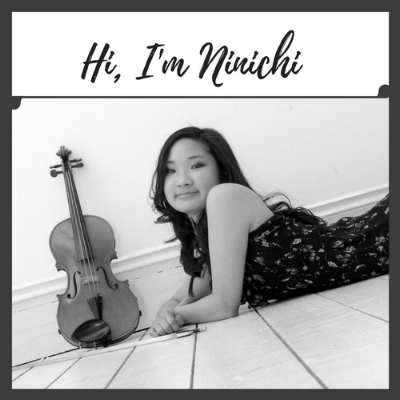 About the author: Ninichi is a freelance composer and music enthusiast. She has composed the soundtracks and music to several indie games. Contact her: to explore working with her on your game, film or media project. Check out examples of Ninichi's game music compositions and soundtracks & read more articles like this on the Ninichi music blog.